Sometimes the best decisions come from the heart, not the head. But wise investing and money management usually come not from those subjective, emotion driven decisions, but from objective thinking of the kind King Solomon calls wisdom and prudence. “I, wisdom, dwell in counsel, and am present in learned thoughts, “ he tells us in Proverbs 8:12. Subjective decision-making is the kind that’s ruled by feelings rather than facts and figures. And there’s a place for that in real estate too. When you’re choosing a place to make your home for at least a few years, your feelings can – and maybe should – play a role. If price and other “objective” considerations are equal, choosing a house that reminds you of your childhood home may make sense. But when it comes to investment properties bought with the intent to generate income, decision making has to be objective. The prettiest property in town doesn’t mean much if it costs too much and can’t generate income from rents. Investors need to consider cold hard facts – a process that Jason Hartman sums up as Three Dimensional Real Estate Investing. Again, emotions ranging from comfort (there’s an easy way to handle the process with friendly lenders) to fear and aversion can overrule more important factors such as what terms and rates work best for individual investing goals. 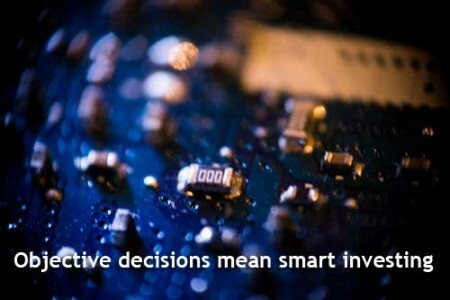 Investors making impulsive decisions can end up paying more or getting less. Not much else matters if the property doesn’t produce the desired income. Calculating the Rent to Value ratio and other factors gives a clear picture of the cash flow potential of a given property – and those figures need to guide decisions about making an investment for the long term. In other aspects of investing, too, the head has to prevail over the heart. Choosing advisers not for expertise, but for personality, or skimping on learning about the investing process because it’s boring, won’t get an investor very far on the road to building wealth.